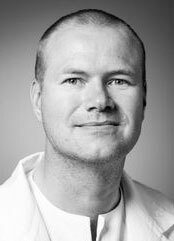 Physician and researcher Anders Opdahl has demonstrated new mechanisms for how the heart changes shape during its relaxation and early filling phase. In his thesis “Mechanisms of Left Ventricular Early Diastolic Untwisting and Lengthening”, Anders Opdahl and his coworkers have shown that both the contraction of the heart and the compression pressure are important mechanisms for the speed of the early prolongation and reversal of the heart and not just the previously assumed mechanism; relaxation rate. During the contraction, the heart muscle is squeezed together as a steel spring, and when the relaxation starts, it bounces out again. Furthermore, Opdahl has shown that measurement of the rotation of the heart tip can be a simplified method of assessing the heart's rotation, and thus also a measure of ejection fraction. Measurement of the heart's pump function is important in order to detect heart disease early. The heart has cyclic motions with characteristic movement patterns during emptying and filling phase that reflects its function. In contrast to the cardiac shortening of the longitudinal axis, the twisting motion around the twisting axis is less investigated. In the heart's relaxation and early filling phase, an extension of the heart occurs in addition to the heart turning back to the untwisting. The rate of prolongation and retraction have been introduced as markers for the heart’s relaxation rate, a fundamental measurement of the heart’s filling capacity. The degree of twisting motion around the longitudinal axis of the heart has been introduced as a measurement for ejection fraction. Although the rate of prolongation and retraction of the heart reflects the relaxation rate, the thesis shows that one should additionally take into account the contraction of the heart and the blood pressure in the left ventricle, and that there is thus a tight link between the contraction of the heart and the filling. Furthermore, rotation of the heart tip can represent a simplified target of the heart's twist - a shape change that is complicated and time-consuming to measure, thus being a simplified measurement of ejection fraction. Response to Letter Regarding Article, "Mechanisms of Preejection and Postejection Velocity Spikes in Left Ventricular Myocardium: Interaction Between Wall Deformation and Valve Events"